David Russel, the director and co-writer of American Hustle is my Santa for this year. He made me a wonderul X-mas present last night. 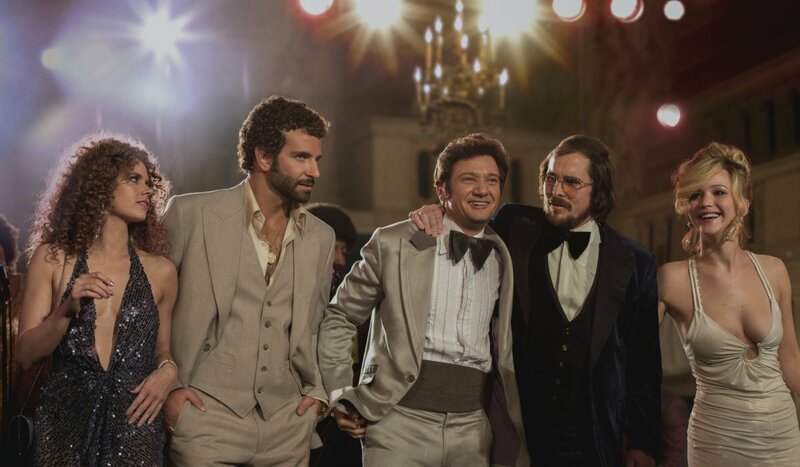 American Hustle wonderfully recreates the look and feel of the late 1970s in New York City. Russel tries to say something deep about American life while at the same time giving you a fun time at the movies. Everyone is constantly trying to reinvent himself or herself as something bigger or someone entirely different. The movie is centered about the life of a con man and his girlfriend who get busted by the FBI and now are forced to help entrap other con men. Before long corrupt politicians get into the game and the film picks up speed without ever quite knowing where it will end. Will any personal relationship survive everyone hustling for something bigger? Earlier this year, Russel delivered a very good film with The SilverLining Playbook. But American Hustle is probably the best American film I have seen in 2013 to date and there are only two weeks left to change this billing. This entry has been viewed 375 times.